What’s On This Opening Weekend? 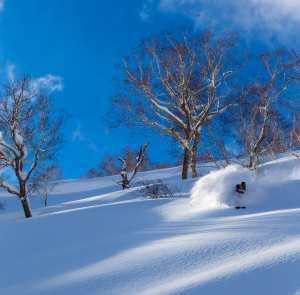 Queens Birthday weekend signals the official opening of the snow season in Australia and some resorts in New Zealand. 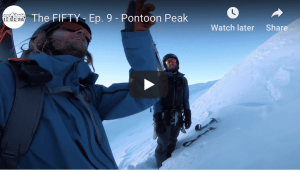 But without much snow in Australia (except for the unseasonal our snow dump back on Anzac Day) some may think there is no reason to head to the mountains. Well, if you thought that you’d be wrong. For the opening weekend most resort around Australia have ample entertainment and celebrations going off all weekend that makes it a perfect getaway for the long weekend holiday. A wintery blast is forecast for the weekend (take a look at your local Mountainwatch forecast) what a better way to kick of the winter by spending a relaxing weekend in the mountains watching those first flakes fall. band, official opening ceremony, Pyroptix fire and percussion show, and culminate in the amazing Pepsi Fireworks Spectacular. There will be plenty of action to keep all ages entertained throughout the weekend including face painting, free hot chocolate and the Barry the Pygmy-possum live show for the kids, whilst adults can enjoy free gluhwein, enjoy the live entertainment and help raise money for Australia’s winter Olympians at the annual Black Cockatoo Dinner. 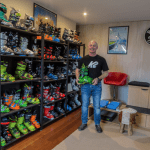 An expo held by Buller Ski Lifts will showcase the wide range of operations needed to run the Resort, including snowmaking, snow grooming, ski patrol and much more. Some well known actors, filmmakers, directors, producers and the entrants in the short film category of the annual smorgasbord of short films will be the ‘headline act’ of the weekend at Victoria’ largest, and arguably the prettiest, alpine resort. The new Quay West Resort & Spa in the St Falls precinct, on the ski plaza level in the St Falls precinct, is the selected venue where the short films, which made the cut will be screened on Saturday and Sunday mornings. In addition there will be the fireside forum at Astra Lodge on Saturday afternoon. The annual ‘Script in the Raw’ reading, on Sunday afternoon, will focus on Teacher Boy, the new screenplay from the multi-talented Shaun Micallef (at Quay West Resort & Spa) and the announcement of the winners (and the eagerly sought-after funding for the filmmaker’s next project) will be at Astra Lodge on Sunday night. For comprehensive details of the FilmFest@Falls program click here. The official opening by to be carried out by Gavin Jennings MP, Minister for the Environment, Climate Change and Innovation will take place on Saturday 6 June at Astra Lodge. A spectacular fireworks display on Saturday Night will signify the official start of the season at Hotham. There also be plenty of parties and functiosn across the resort. 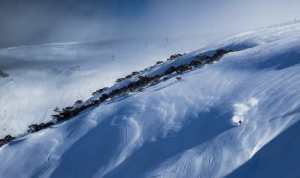 A weekend at Hotham will be a great getaway – get out of the city and enjoy the fresh mountain air. Go for a hike, a mountain bike or enjoy a family retreat. QantasLink are restarting their direct service from Sydney to the Southern Hemispere’s only alpine resort airport at Hotham. Flights commence 3 July and run through until 7 September. From $199 ex-Sydney oneway. See the Qantas website for bookings and full schedule. With 45 artists performing across the resort during the Long weekend with lots of kids shows, poetry wood fires, drinks and warm winter smiles. 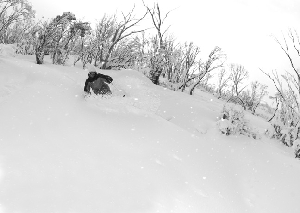 A no snow-opening weekend at Perisher, Guthega and Smiggins Hole is looking like a pick of the bunch. Thredbo village is always a great place to visit at any time of the year. This weekend will be no different. Thredbo will have the only chairlift open in Australia, although not for skiing, The Kosciuszko Express will take you to the top of Thredbo where you can enjoy a walk or a hot chocolate in the restaurant. For more info visit the Thredbo website.